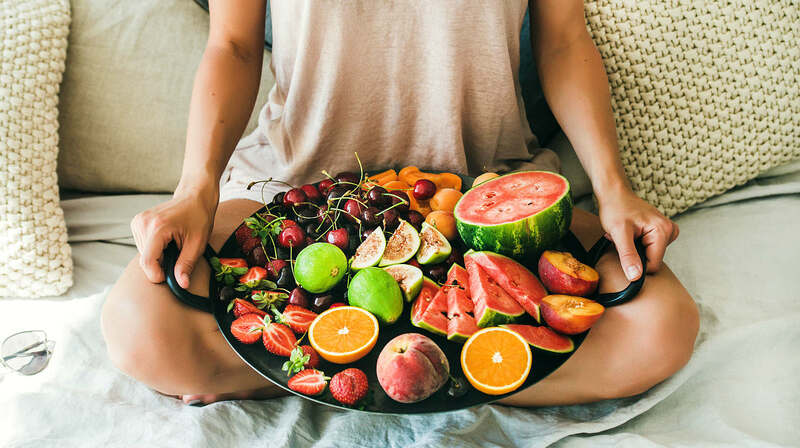 These fruits and vegetables are not only delicious as snacks but super packed with benefits that can keep you healthy and hydrated. Cucumbers are so hydrating they are even used to remedy puffy eye bags. Cucumbers are composed mostly of water. They also contain vitamin C, as well as caffeic acid, which soothes skin irritations and reduces inflammation. Eggplants contain high amounts of water as well as fiber. They are also very low in terms of caloric content, making them an ideal weight loss food. Their spongy texture makes them highly absorbent, so boiling them in alkaline water might be a good idea. Zucchinis are a whopping 95% water by weight alone, making them one of the most important water-rich food in helping you stay hydrated. One serving has 25 calories at most. Zucchinis are also a great source of folate, vitamins A and C, and potassium. A study done in 2009 at the University of Aberdeen shows that some fruits and vegetables are actually more effective at keeping people hydrated than sports drinks, or even water. At the top of that fruity list reigns watermelon. It chalks up its victory to its 92% water content, plus rehydration salts, calcium, potassium, magnesium, and sodium. They may not seem to be a likely candidate on the list of highly hydrating foods, but the crunchy and colorful bell peppers are actually 92% water. They are also rich in thiamine, vitamins C and B6, folic acid, and beta-carotene to name a few. The juicy grapefruit makes it to this list because, besides keeping you hydrated, its chemical properties also have a host of other benefits. It lowers insulin levels and controls appetite, making it a great fruit to eat for those looking to lose weight. This is one of the first fruits we are ever acquainted with, introducing us to the alphabet, as well as tips on how to keep doctors away. This superfruit, besides being widely available the world over, has also been linked to lower levels of cholesterol and weight loss. It also prevents a number of chronic health problems. Some of which include diabetes, asthma, and cardiovascular disease. Romaine has a little less water than the iceberg lettuce (let’s face it, any lettuce named after a gargantuan block of floating ice should be at the top of all watery lettuce lists). But, it does have thrice the amount of folate, up to six times the amount of vitamin C, and eight times the beta-carotene content. Its sturdier disposition also makes it a good base for many salads. Juicy, tangy, and sweet, the pineapple is not only packed with fiber but also bromelain: a mixture of compounds that is quite potent against inflammation. It may not be a true apple, but some pineapple a day may keep those pain meds away. It’s not hard to believe that the refreshing pear can keep you hydrated. Surprisingly it also contains a substantial amount of dietary fiber—6 grams for one medium-sized pear. In addition, its fiber is soluble, meaning it can make you feel full for a longer period of time, which can help those looking to stave off hunger pangs. These plump, red berries are 92% water, making them a top choice for foods to reach for when you want to get hydrated. Studies have shown that eating one serving of strawberries elevates levels of the B vitamin folate in the blood. Folate Definition: A vitamin that promotes cell metabolism and growth, I keeps arteries clear. Try to avoid drowning them in chocolate though. Peeling oranges takes a lot of work, but all that effort is worth it for keeping your body hydrated. Oranges are 87% water, and pack a mean vitamin C punch–it has over the 100% daily recommended value. Plus, all that peeling will leave your hands feeling and smelling fresh and citrusy. These berries are so handy you could poke them through your fingers for a more fun eating and hydrating experience. They are also surprisingly fibrous, with 8 grams of fiber per cup of raspberries. They are also full of ellagic acid, a potent antioxidant that helps fight a variety of cancers: skin, lung, breast, bladder, and esophageal. There’s a reason mountains of these dark leafy greens shrink to tiny leaflets when heated: they’re made up of mostly water. A single cup of spinach makes up for at least 50% of your daily vitamin A needs, with only a measly 7 calories. They’re also high in vitamin C and protein, making them a welcome addition to protein shakes. Whatever your opinions may be of the tomato (Is it a fruit? Is it a vegetable? ), it helps you stay hydrated. Composed of 95% water, it’s great on its own or taking up space in your sandwich, to complement its other high-calorie contents. Crunchy and firm, the celery is 96% water. It consists of a combination of vitamins, amino acids, and mineral salts that studies say could keep your body hydrated twice as much as a glass of water. Its particularly robust composition and texture also make it a great snack. This sturdy cruciferous vegetable has more to offer you than its vitamin C, calcium, fiber, and minimal caloric content. It’s composed of 91% water, so you can be sure you can stay hydrated after munching on them. Keep yourself hydrated by picking up some red seedless grapes as a snack. They even taste great as an addition to salads, yogurt, and cottage cheese. Their skins also contain resveratrol, which is an antioxidant known to reduce risks of heart disease. Your body is made of water, so it’s natural to feed yourself fruits and vegetables to stay hydrated. Their high water content is a benefit enough, but with lots of added nutrients and benefits, not only will you be hydrated to high heavens, but refreshed and healthy as well. Did we miss any of your favorite hydrating fruits and vegetables? Let us know in the comments section!